The GRASSCRETE contractor is licensed and trained by BOMANITE® CORPORATION, P.O. Box 599, Madera, CA 93639-0599. The work is usually called out in a section of the specifications separate from concrete and landscaping (Section 2 under Erosion Control 02370 and Porous Pavement 02795). Scope. All work in this section shall be designated as GRASSCRETE in the plans. The work shall include all labor, materials, equipment and transportation required to install GRASSCRETE. Contractor. The Contractor for this work shall be licensed by Bomanite Corporation, P.O. Box 599, Madera, CA 93639-0599, (559) 673-2411. Concrete Mix. 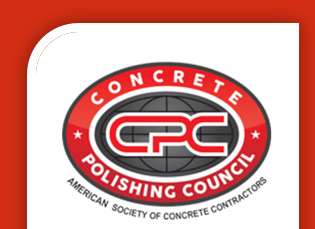 The concrete shall have a minimum compressive strength of 3,000 psi in 28 days (except in severe freeze-thaw areas or for vehicles weighing 10 tons or more, in which case it should be 4,000 psi). Portland Cement shall conform to ASTM C 150, Type I, II, or V. Aggregates shall conform to ASTM C 33 and be 3/8″ minus. Mixing water shall be fresh, clean and potable. In freeze-thaw areas, air entrainment of 6.5% to 8.5% shall be provided. Water reducing admixtures and/or super-plasticizers are permitted and shall conform to ASTM C 494. Slab Design.The GRASSCRETE slab shall have a minimum thickness of 5 1/2″. GRASSCRETE should be recessed 1″-1 1/2″ below adjoining surfaces to allow for grass and topsoil. All perimeters of GRASSCRETE should be restrained by an existing hard surface or a monolithic concrete border. Red painted borders should be used on all edges of emergency access paving. Where used for emergency vehicle access roads or any driving surface, all edges shall be a monolithic concrete border having a minimum width of 12″. Reinforcement.The GRASSCRETE shall be continuously reinforced with _____ welded wire fabric chaired between 2 and 3 inches above the subgrade. (Refer to the following section for guidelines on the selection of reinforcement.) Intended Use — Welded Wire Mesh. For alternate reinforcement, #3 rebar placed at 18″ on center may be used in lieu of welded steel fabric. This may increase cost due to additional labor. Subgrade shall be leveled to a uniform plane 5-1/2 inches below the final grade of the GRASSCRETE slab and 6 1/2″ – 7″ below adjoining surfaces. Welded wire fabric shall be chaired. GRASSCRETE formers shall be placed on the subgrade. Concrete shall be placed and leveled to the top of the GRASSCRETE formers. The concrete surface shall have a heavy, rough broom finish. GRASSCRETE formers shall be withdrawn after the concrete has hardened sufficiently. Traffic.No traffic of any kind shall be permitted on the GRASSCRETE slab until fourteen days after placing of concrete and only after soil is placed in holes. Thereafter, vehicles shall be permitted providing they do not exceed the weight capacity for the slab. Grass Coverage.Surface area is 47% concrete & 53% hole. Grass usually covers much of the concrete in areas not subject to regular vehicle traffic. Concrete Coverage. The volume of concrete used in GRASSCRETE is equal to a normal 4″ concrete slab. Maintenance. GRASSCRETE requires watering and mowing as would be normal for any lawn. Irrigation must be provided in dry climates to keep the grass healthy. Mowing needs are less in areas of frequent traffic. The grass roots are protected by concrete and are not damaged by vehicle use. Alternate to planting grass. Holes may be filled with crushed stone, seashells, etc., to provide drainage. Drainage. GRASSCRETE drains at about the same rate as would an ordinary lawn in the same location. The presence of the concrete has little effect on the drainage; the soil and the slope are the controlling factors. A test report by an independent laboratory on infiltration rates is available upon request. Fire-Lane Access. It is recommended that a 12″ border can be used at perimeters of GRASSCRETE monolithic to GRASSCRETE driving surface. Concrete Volume. GRASSCRETE is 60% concrete by volume and 40% void area, not including widened edges and solid borders (see item 2 above). Slope Paving. GRASSCRETE can be readily installed on slopes as steep as 3:1. Steeper slopes are more difficult and costly and 2:1 is the steepest that could be possible. Curved Areas. GRASSCRETE formers are square and are used most effectively in rectangular areas free of obstruction. GRASSCRETE may be used in curved areas and areas having obstructions. Areas where complete former will not fit are filled with 3″ pipe holes. NOTE: GRASSCRETE is not designed to be a finished surface. IMPORTANT NOTE: This specification supersedes all GRASSCRETE specifications published prior to November 1, 1999. GRASSCRETE® is a registered trademark with the U.S. Patent Office. The trademark is owned by Grass Concrete International, Ltd. BOMANITE CORPORATION is licensed in the United States by Grass Concrete International, Ltd. to use its trademark.